It is sad to observe that families in Jakarta are not quite familiar with the concept of outdoor picnic. Mostly due to a lack of pleasant, safe, clean and well-managed open spaces, as well as the lack of time to prepare for the activity, and simply because the shopping mall is too convenient as an all-in-one solution. I personally don't like to stay too long inside shopping malls because it drains my money and it doesn't encourage meaningful interaction among the visitors. So last Sunday, which coincided with my and my sister's birthday, we decided to have a picnic by the swimming pool, well it was not quite a real picnic where you sit on the grass and such, but it was a lot of fun nonetheless! 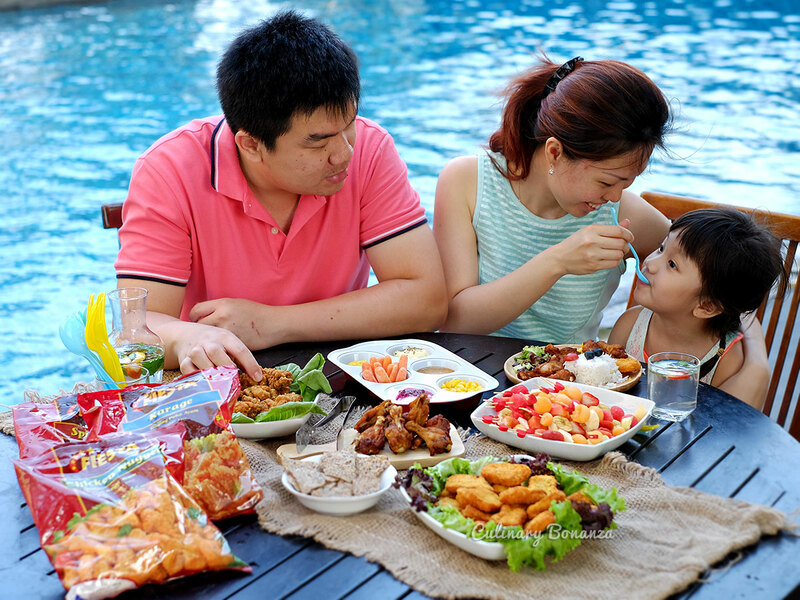 Forget the restaurants / cafes this weekend, have a picnic with your family instead! 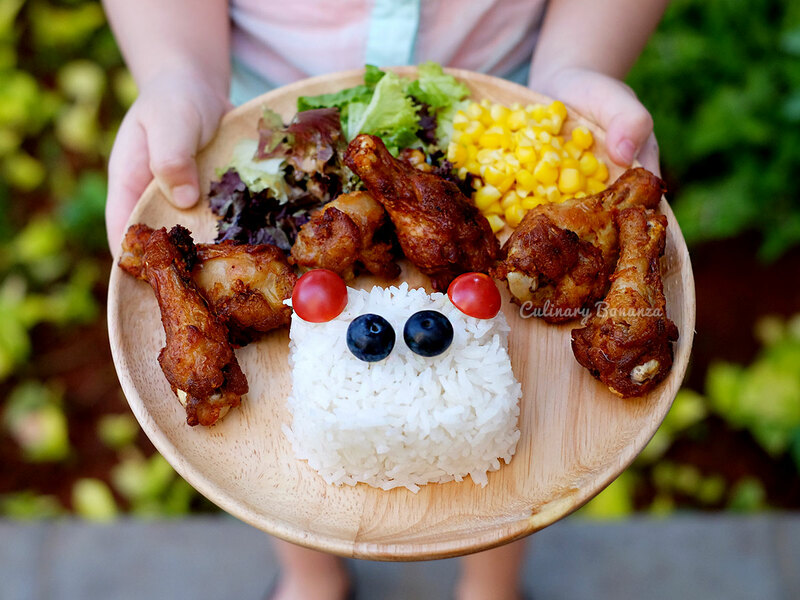 It was my first time planning a family picnic and to be honest, it's not as easy as it seems, because we have to consider many factors such as location, logistics, preparation and such. 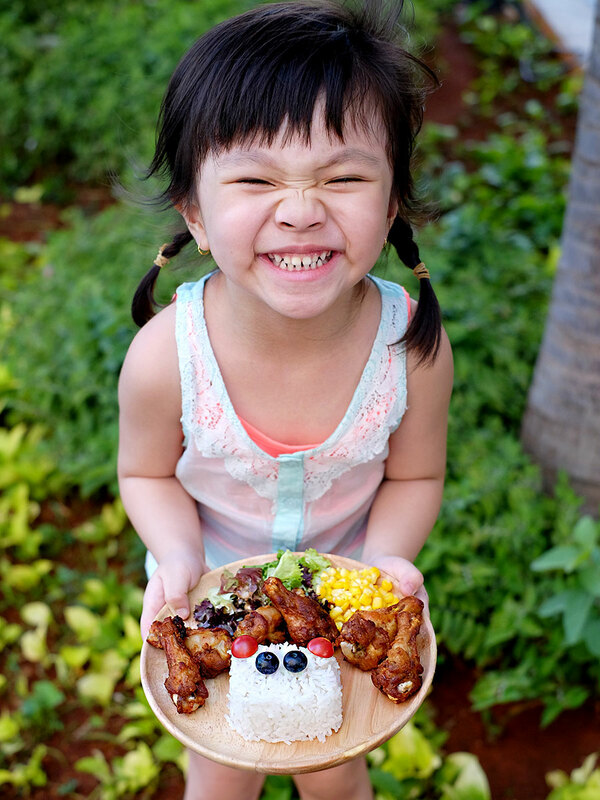 It's not quite the same as cooking at home, because with picnic you want to have as much fun as possible, with a minimum amount of effort / trouble, otherwise your energy will be drained by the time you finish prepping for it. 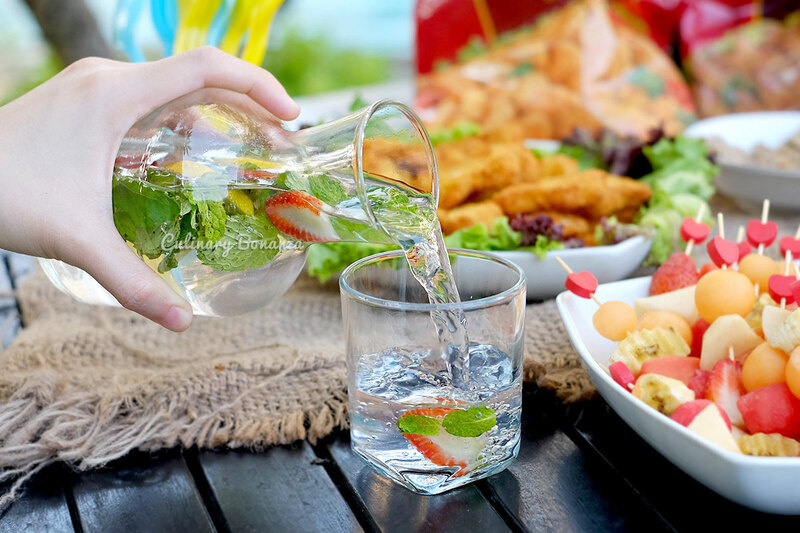 So, having done the picnic myself, here are some tips and ideas that I'd like to share to make your own little picnic plan easier and more fun! Yes, planning the menu ahead if essential to a great picnic, because who wants to eat soggy sandwich or clean the drinks spilled on the way to the location? 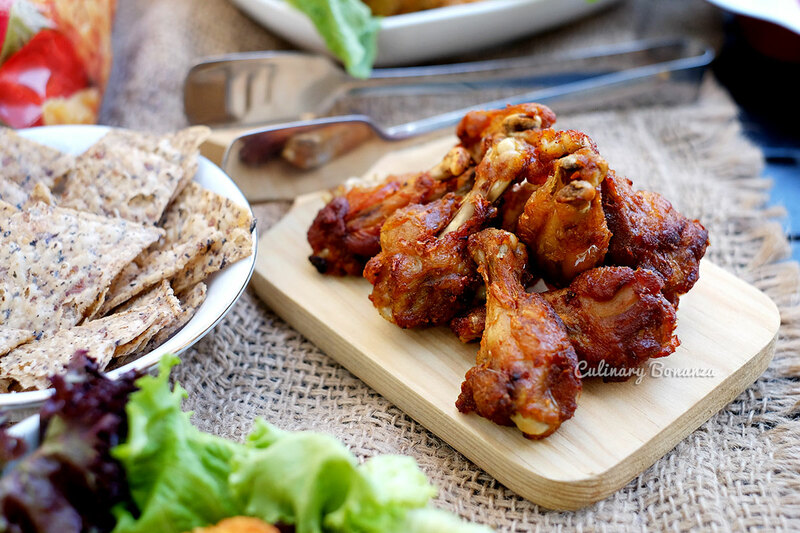 The most important thing about a picnic is to keep the menu simple, easy to prepare and yummy. The first thing that comes to my mind is cold sandwich, but Asian families (especially mine) are not so much into bread. So, the next best win-win solution is to have chicken nuggets! 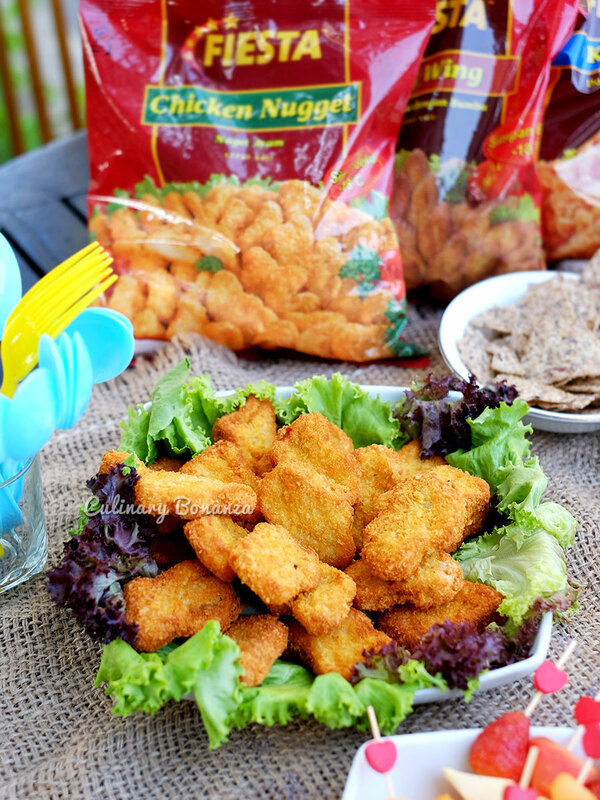 It's easy to prepare (just fry and serve), delicious, and kids-friendly, I mean is there any kids who don't like to eat nuggets? LOL. 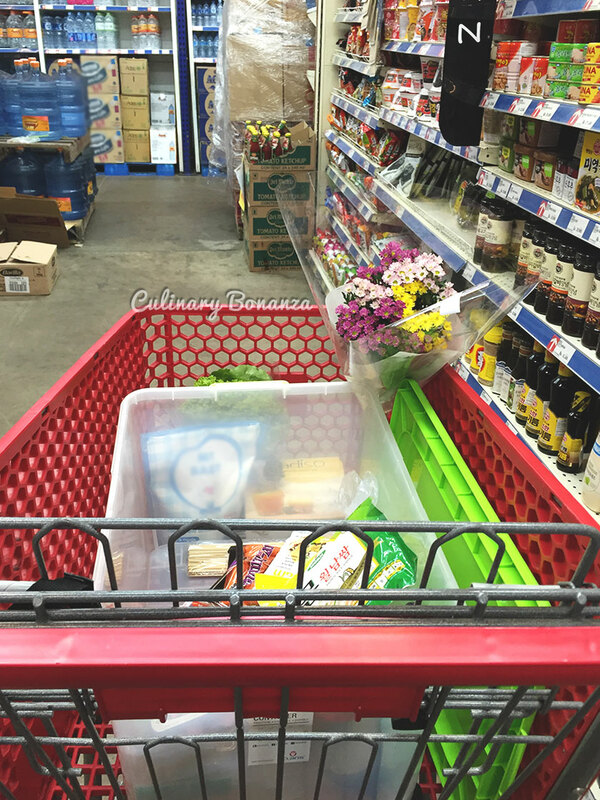 So, you already know what you want, next is to come up with a list of things that you need to buy, such as the food ingredients and utensils. 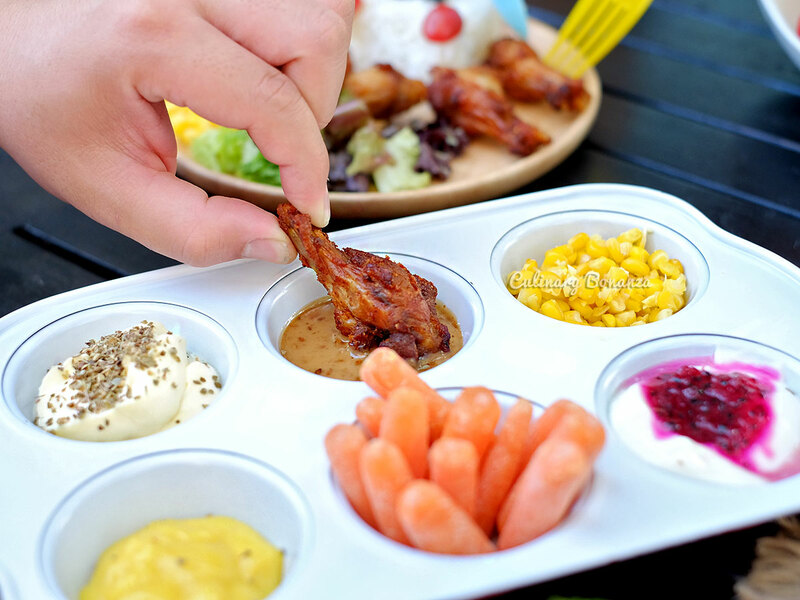 Talk about utensils, a picnic should be a hassle-free affair, so paper / plastic utensils are more desirable as they are lightweight (easy to carry around), and disposable. Stock on plenty of wet wipes and paper napkins too, because it will get messy! Oh yes, the drudgery of cleaning, washing, cutting & cooking! You can never escape this part especially with DIY picnic (no food take-outs!). But you can have fun doing it actually, especially if you split the tasks among the picnic participants. Like in my case, my Mum did the cooking and washing the veggies, my sister helped to cut the food, I did the planning and table setting. It's mostly a girl's affair, but don't spare the boys! Make them help to transport the food to and fro the locations! I smile, because I'm happy! 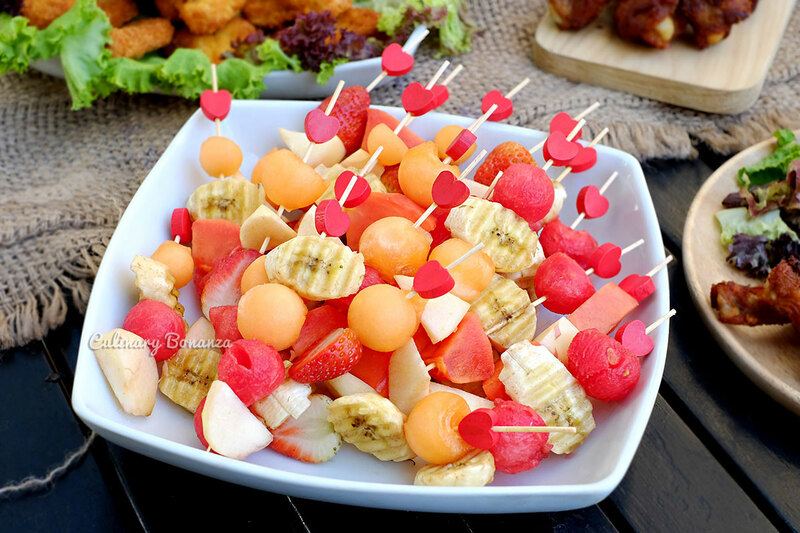 Cut fruits on cute stick! 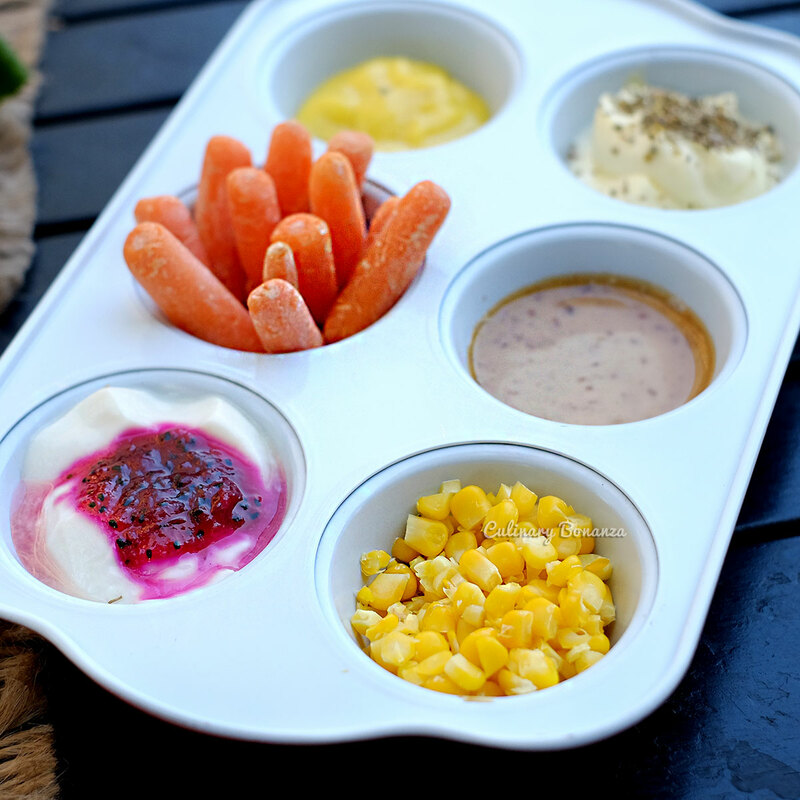 Use muffin tray to place dips and small bites! 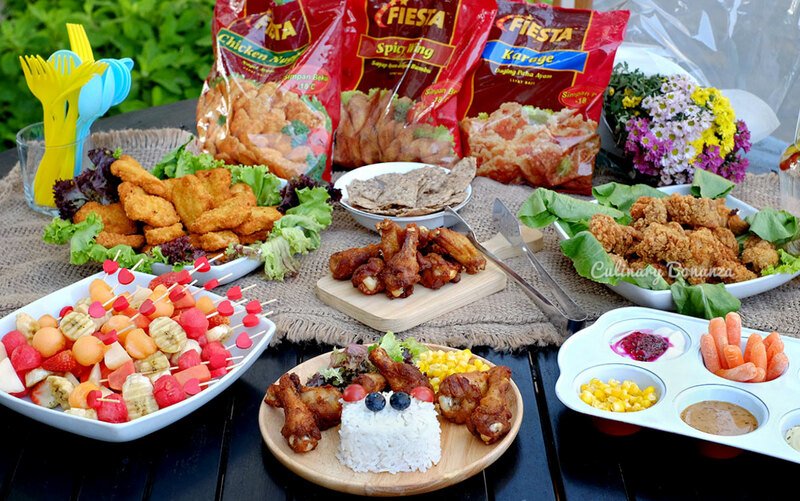 My family's personal choice for chicken nugget has always been Fiesta and I actually grew up having Fiesta's various products. I used to have it for breakfast before school, for the lunch box to bring to school, even for dinner when nothing else seemed appetizing. Being a homemaker, my Mum would cook the nuggets in moderation and she rotates the menu every so often, because obviously, for health reasons (too much fried food is never good). 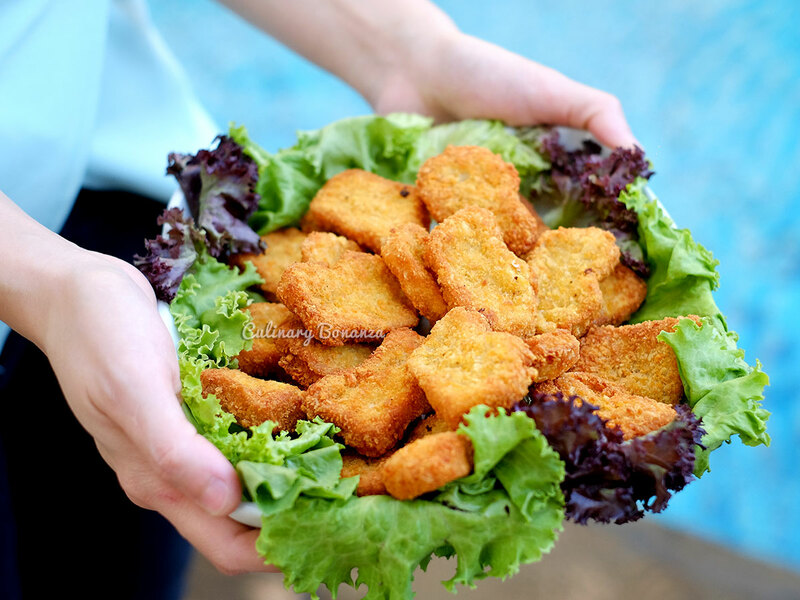 In fact, it was me, who always begged her to cook the nuggets haha! 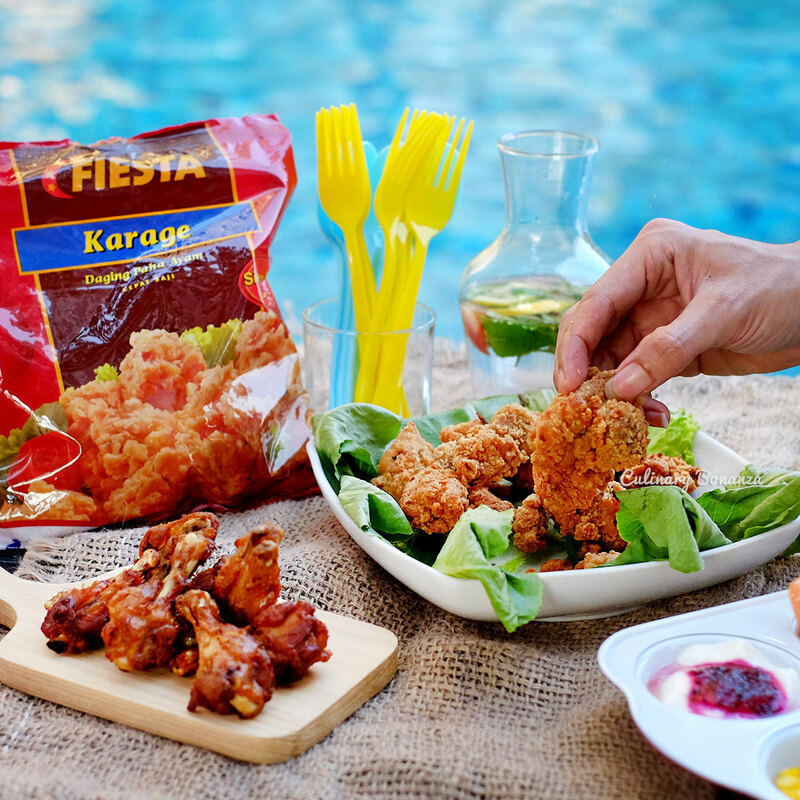 Compared to other brands of chicken nugget, Fiesta products suit our family's taste buds the most and of course, being the leading brand in Indonesia and the numerous certification it has achieved, my Mum feels to serve this to our family. This post was made possible by Fiesta Nugget, all opinions expressed in this post are entirely my own.